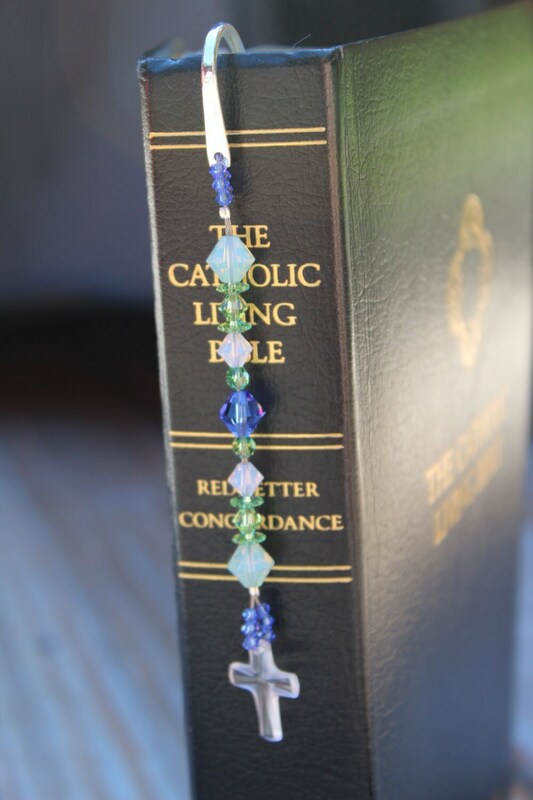 This entire metal bookmark measures 5 inches in length. 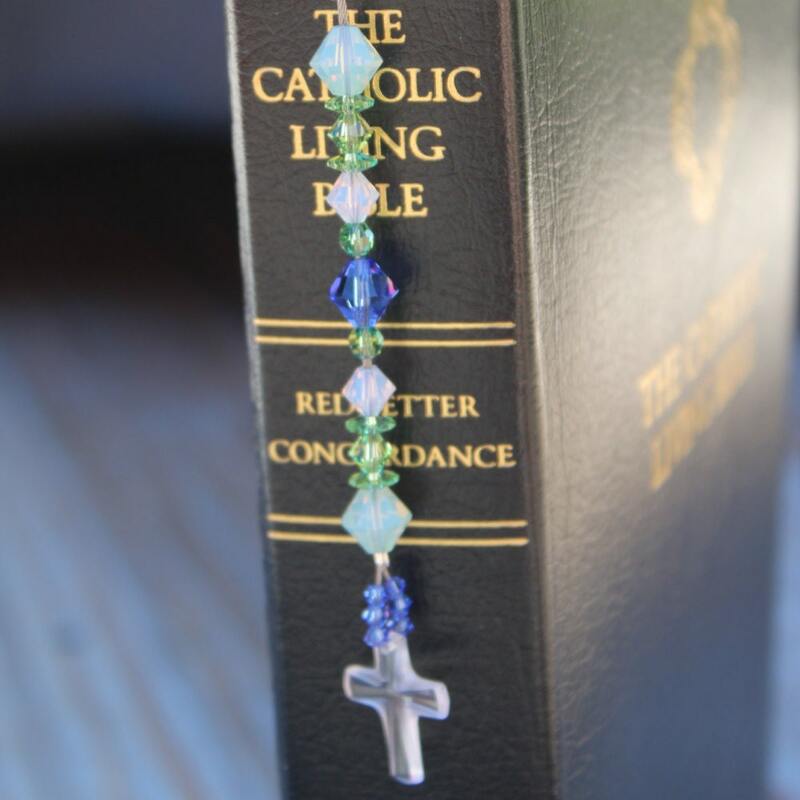 All beads used (including the cross), are genuine Austrian crystal. 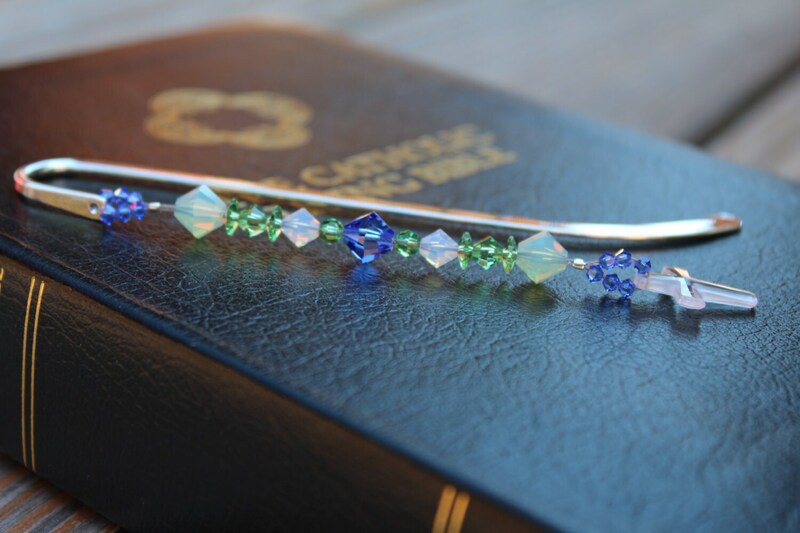 This bookmark comes in a box and is perfect for gift giving.